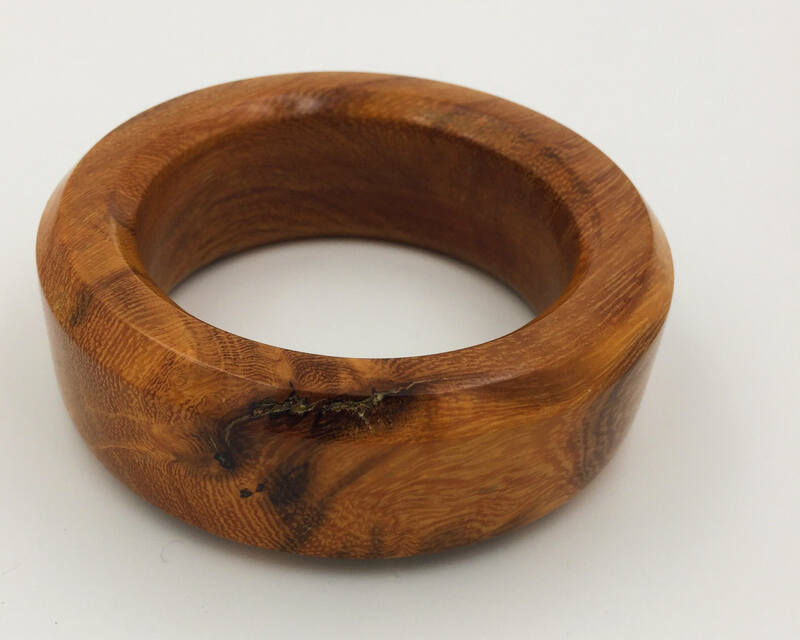 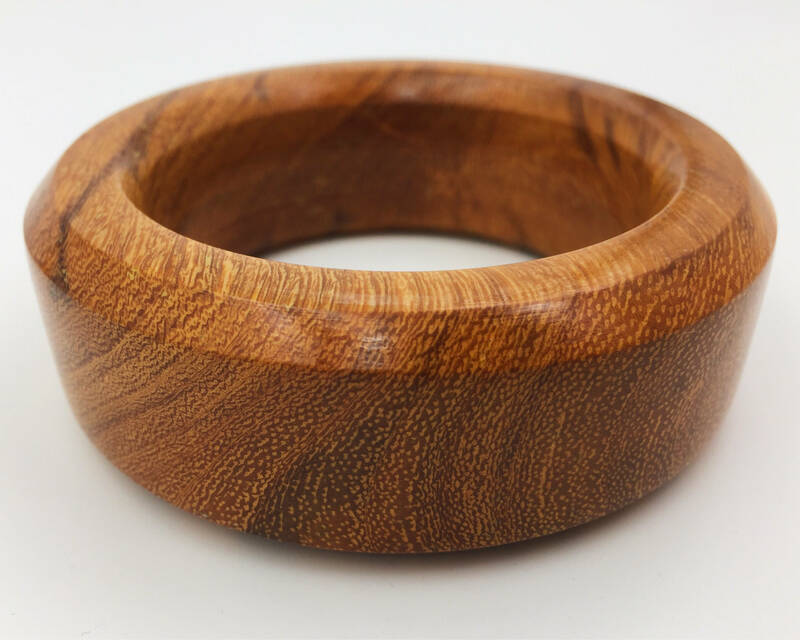 This handmade bangle is turned from gorgeous Madre Cacao wood. 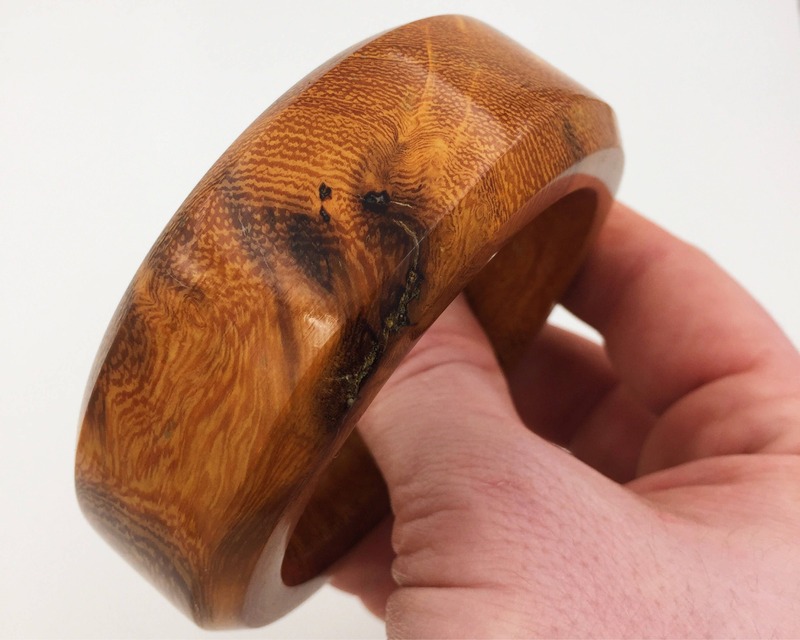 With some very cool natural inclusions, and brilliant orange, and black coloring, the photos truly do not do it justice. 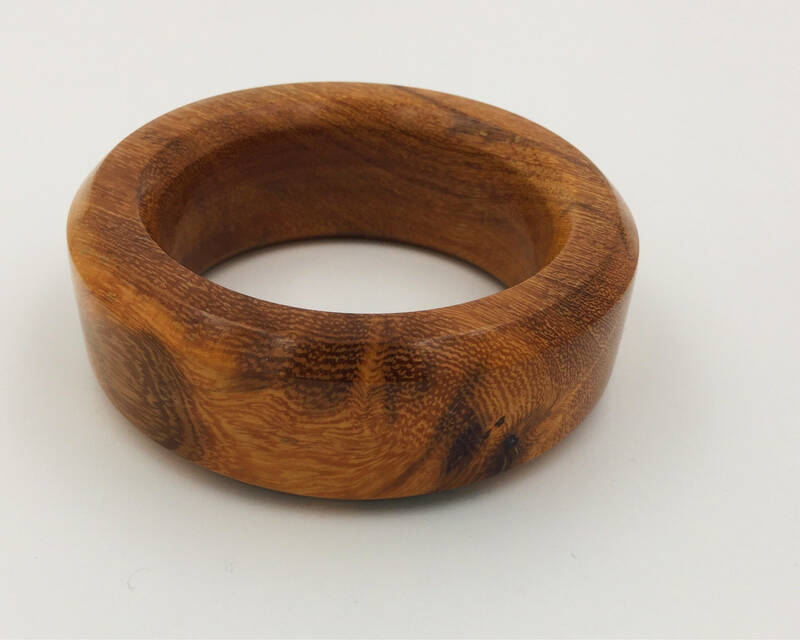 The wood is sustainably and responsibly reclaimed from a downed Madre Cacao tree. 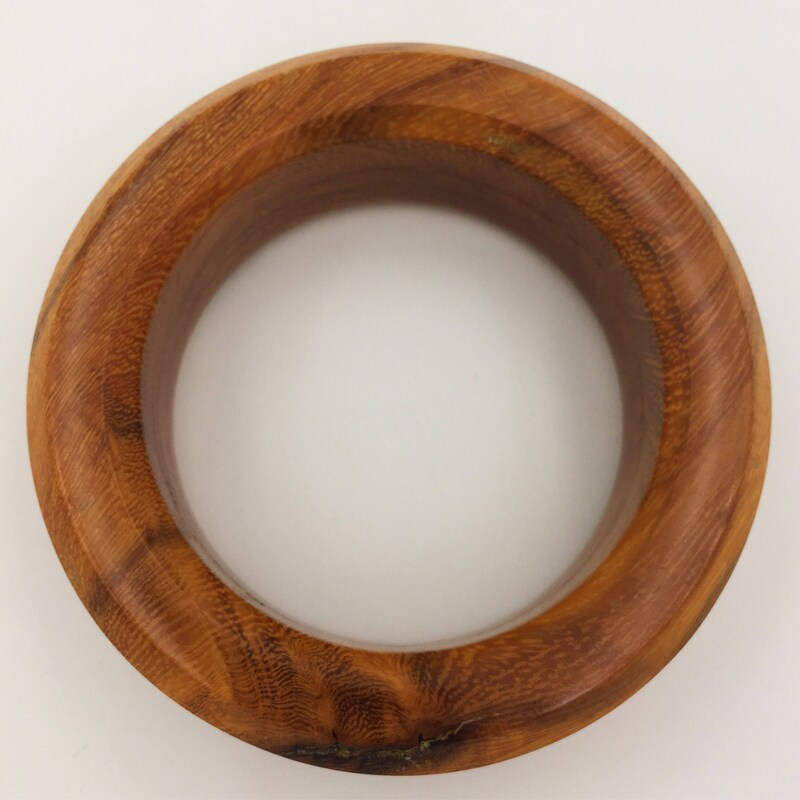 If you're not familiar with this wood, it is incredibly dense and strong. 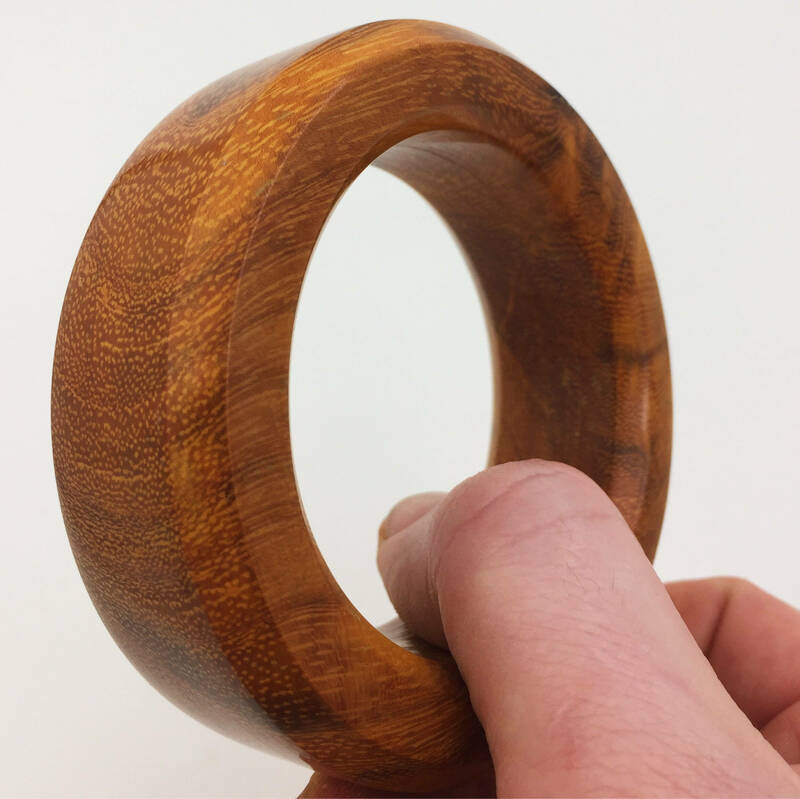 Finished with CA glue, and polished to a brilliant shine, this bracelet is water and oil resistant (should not be submerged or worn in the shower) and will stand up to plenty of wear and tear. 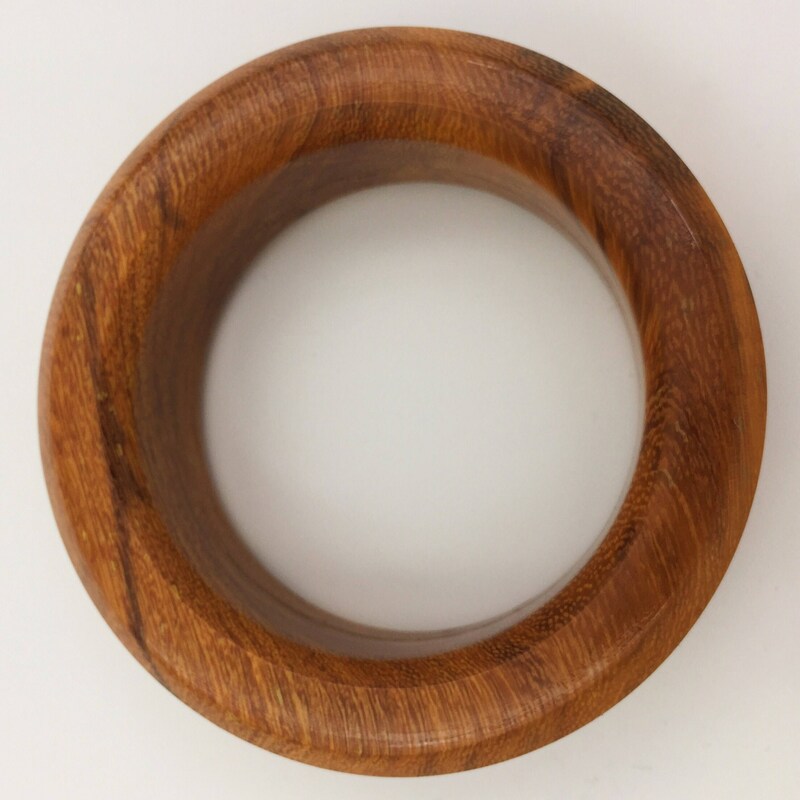 2 1/2" interior diameter, 3 5/8" exterior, and 1 1/8" wide.